Effective way to share your speechless emotions on picture is set text on photos, Change contrast of pictures and also new one and most popular for this days is emojis. If you experience Facebook web post with new pictures. Same here you can also do on your iOS device. Stitch text on your any size picture by add text to photo in iPhone. 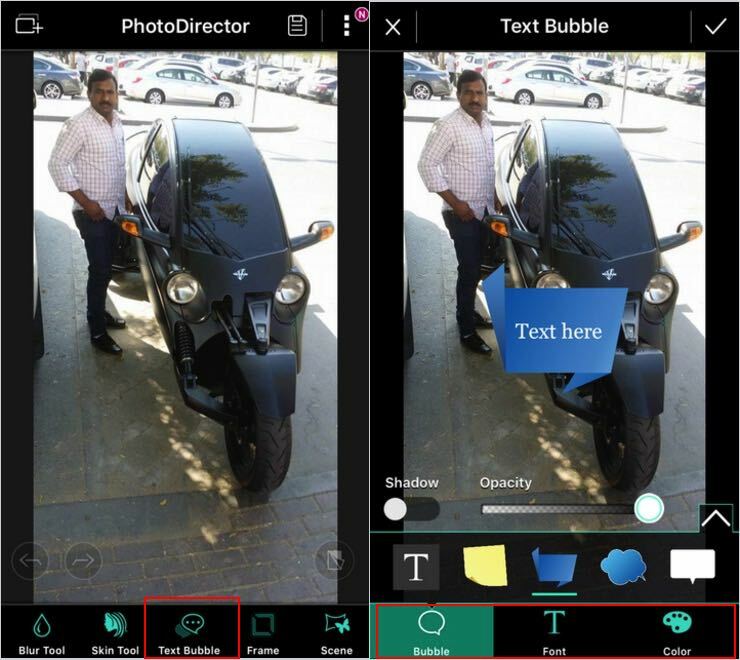 So learn how to add text to photo in iPhone, iPad or iPod touch running on iOS 8, iOS 9 or other iOS version. Not only simple text but you can set it on any writing style, colors, Weight, Watermark styles and natural Handwriting text style (Most of the folks like and want this). Officially there is a no single option without any default iOS app, till iOS 9.3 or earlier. So, we must go with some special app that will very useful for Set or add text to photo in iPhone specially. Might be you can do or use many useful tools within the same app. Photo director is one of my favorite app for set or add text to photo in iPhone. Download app from below link, launch it. And Slide below tolls from left to right, Tap on text Bubble > There are so many free text effect mostly sute your picture background, emotions that’s you want express. More see below pictures and enjoy it. Side by side there are also options for change font style and Font Color, transparent text. Don’t miss. Font candy is free app for temporary use and if you ignoring watermark. Otherwise you have to go with pro features to remove watermark comes after save there. Font Candy specially made for set or add more text effect on picture beautifully. Are you professional photo shooting/editing filed then you must go with this app. 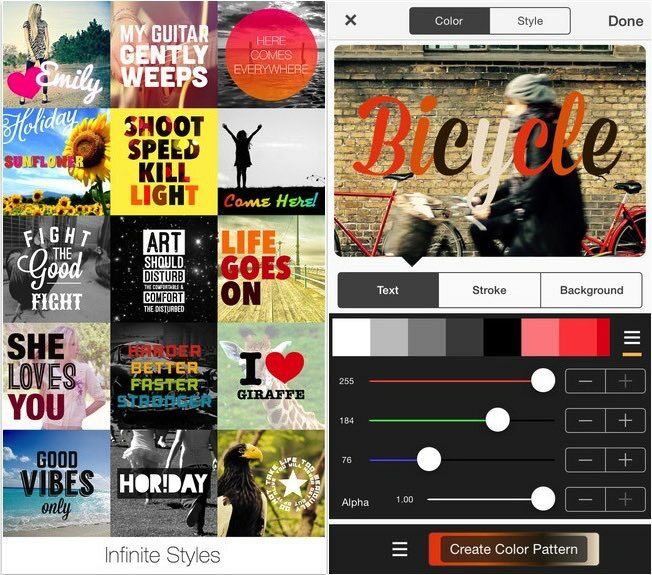 Above two apps are enough to try and add text to photo in iPhone, iPad and iPod Touch with up to iOS 9 or later.